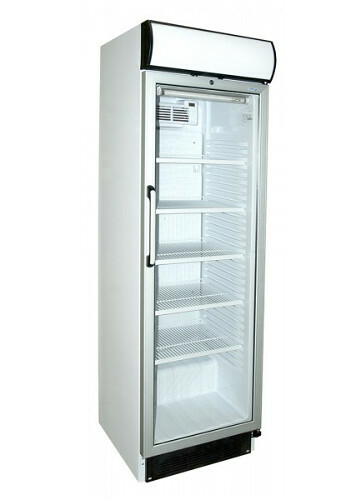 We offer a wide range of fridges and wine coolers with an excellent value for money. We also have juice, smoothies, cocktail, and drinks dispenser machines. We have been working in this sector for more than 25 years, and that is where our know-how and great experience comes from. 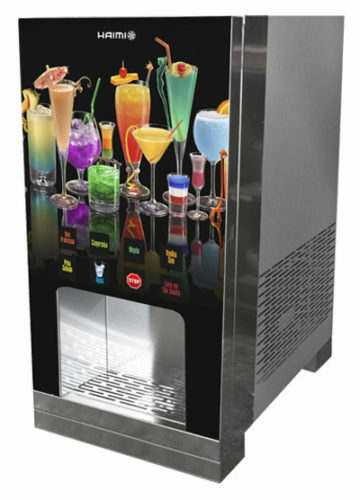 We have developed a wide selection of juices, smoothies, and cocktails dispensing machines for hotels and restaurants, an excellent help for buffet services. Contact us with any doubt you might have, we will be happy to solve it and guide you through. Please, contact us for more detailed information. Our phone number is +34 948713242. You can also send us an email to comercial@gruohaimi.com or use our contact form. Our expert team will attend you with great dedication. Our team is in constant development, always looking for new ways to optimize our products technical solutions. We are a quality, functionality and design reference. Manufacturing the best products and offering the best after-sales services. We work with a sole goal: to offer our clients high quality products, personal design and high durability. Grupo Haimi is a guarantee. Cuéntanos tu idea y las necesidades que tienes y nosotros te asesoraremos con el único fin de que quedes satisfecho. Nuestro catálogo incluye una gran selección de neveras y cámaras para bebidas, cervezas y refrescos y una amplia gama de enfriadores y vinotecas para la conservación de botellas de vino. Hemos desarrollado una amplia gama de máquinas dispensadoras de zumos, cocktails y batidos fríos para hoteles y restaurantes. Ideales para el gran número de servicios de los buffets. 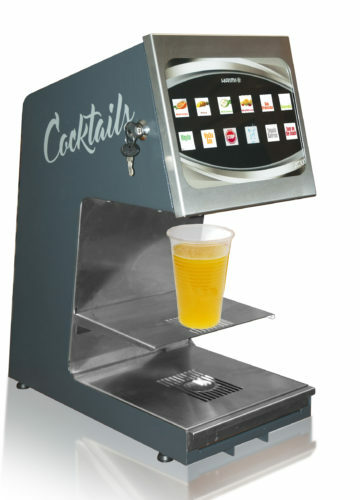 Nuestras máquinas dispensing de zumos y cócktails concentrados ofrecen bebidas de muy alta calidad. Tienen la posibilidad de 4 a 8 canales de servicio y han ido evolucionando según las necesidades de nuestros clientes. Están fabricadas en acero inoxidable y su tarjeta electrónica las dota de un ágil y fácil manejo. Te damos la posibilidad de fabricar tu botellero en madera a medida. Indicamos las medidas que necesitas y que estás buscando y nos adaptamos a tus necesidades. Pídenos presupuesto sin compromiso. Posibilidad de combinar diferentes muebles en madera con la gama creación para crear tu propio espacio único de vino combinando varios muebles y eligiendo el tinte de la madera que mejor se adapte a tu decoración. 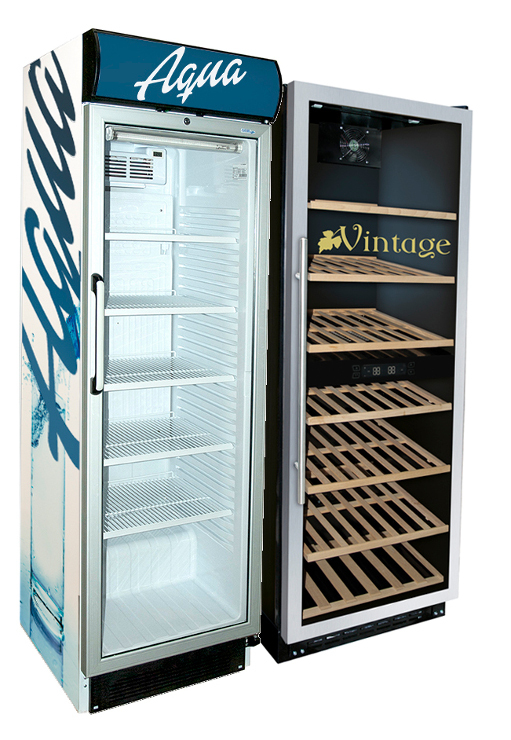 Dale un diseño único y personal a tu nevera o armario climatizado para vino añadiendo tu logo .Te ofrecemos la posibilidad de personalizar las neveras y enfriadores de vino con el logo de tu empresa. Puedes personalizarlos en vinilo ó serigrafía, contacta con nosotros y te asesoraremos para que puedas decidir que te conviene más. We can help you? Contact us! Grupo Haimi has been working for the catering industry since 1991. Thanks to our effort, ideas, and ability, we managed to become one of the leading suppliers for the Horeca channel. Our primary goal is to collaborate, in order to improve the catering future. We are present in every step of the design process and produce every component with enthusiasm trying our best to reach our goal. Since 1991 we have had the best human capital and technology resources, which has placed us in a privileged position. We have managed to become quality, design and functionality benchmark in our industry, manufacturing the best products and offering a unique and personal after-sales service. Our commitment is to create and design the best wine conservation furniture by ensuring excellent functionality and appearance. 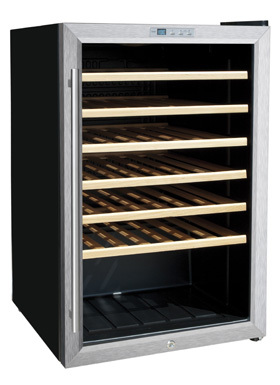 We are doing our best to offer a wide range of wine coolers which will perfectly fit into your needs. Furthermore, we offer fridges and freezers to improve any product conservation, as well as a wide range of dispensing machines. Additionally, you have the opportunity to customize your product according to your wishes. We promise you will find a fully customized quality product. Since Grupo Haimi was born, there has been an important technical and industrial teamwork in all of our final products and new developments, making us a reference point in our sector. This website itself shows our effort and dedication. You can find all our products: a wide range of wine coolers, wine cabinets, a great variety of fridges and freezers and our latest development, dispensing and vending machines. Our teamwork is constantly under training updating to new and useful concepts and technologies. We are continuously looking for ways to optimize our technical solutions. We guarantee a check at all the manufacturing process in order to achieve our customers’ satisfaction.